Stratos Aircraft flew their prototype 714 VLJ for the first time 21 November. The flight from Redmond, Oregon in the single engine jet with gear and partial flaps down lasted for 10 minutes with the Stratos reaching 3,700 feet and a speed of 128 knots. Test flights evaluating performance and handling have continued since then. Test pilot Dave Morss reported a few minor issues after the flight. 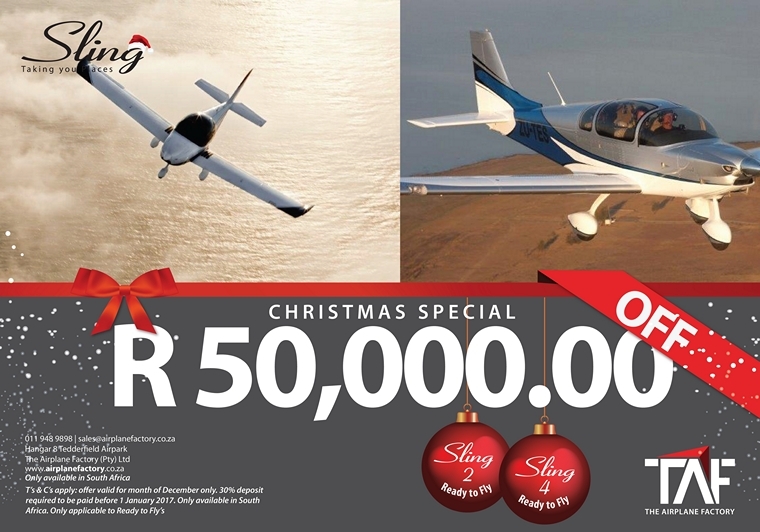 Stratos Aircraft CEO Michael Lemaire said that the company was very happy with the results if the maiden flight. Deliveries of the Stratos, powered by a Pratt & Whitney Canada JT15D-5, were originally scheduled for 2017 but certification will take at least another 3 years and it now seems as if 2020 is a more realistic date. The single pilot Stratos will carry three passengers at approximately 400 knots at 41,000 feet and has a 1,500-nautical-mile range. Stratos currently have enough funds available to complete testing and development but will have to rely on further investments to complete the certification process. Stratos officials plan a product introduction at EAA AirVenture 2017. Tecnam has introduced a substantially updated and improved Mark 2 version of the company's popular P2002 Sierra. The Tecnam P2002 Sierra MkII retains all the features and flying qualities which have established the aircraft's position in the marketplace, but now offers an improved cabin for greater comfort, top level avionics, new paint colours and interior options and a re-designed cowling for the 100HP Rotax engine. After 14 successful years since the original Sierra was launched, following a market survey, studying sales records and feedback from both clients & dealers, at the same time taking into account the flying characteristics which the customer has come to expect. The research considered three basic variables: the consumer's "needs and taste", the aircraft's life cycle, and the current competition in the market place. "The market is always demanding greater comfort and more features," says Paolo Pascale, Tecnam Managing Director, "so improving and updating our product is a must. At the same time innovation has always been part of Tecnam's DNA and has been one of the major keys to our success." P2002-SR-MKII-4wDevelopment in Avionics has been rapid since the Sierra's debut and the MkII offers state of art of technology in a jet-style cockpit. Customers can choose from an extensive range of options, starting with the basic analogue instruments needed for visual flight, a six pack analogue with Garmin GPS, the Dynon SkyView with twin 10 inch displays, the Garmin G3X which features twin 10.6 inch screens, and the G3X Night version with fully backlit backup instrumentation. The largest choice of options is for Interior and Exterior Styling, with four choices for every Style package: Standard, Premium and Power. For the exterior, the range of paint schemes includes new metallic colours which can be matched to the seats, cabin sides and instrument panel covering. The customer is free to choose whatever suits their imagination and taste. Cirrus Aircraft announced the arrival of a new era in personal transportation as the Cirrus Vision® Jet - the world's first single engine Personal Jet - achieved FAA certification. With this milestone accomplishment, the Vision Jet ushers in a new category of aircraft that delivers an unrivaled pilot, passenger and operator experience, and certification paves the way for initial customer deliveries in 2016. "The art of innovation is achieving elegance and simplicity while changing people's lives," said Patrick Waddick, President of Innovation and Operations. "Not only did our development team deliver on that target, we put an exclamation point on it by designing a highly reliable airplane and going a step further by incorporating the life-saving Cirrus Airframe Parachute System® (CAPS®)." Waddick continued, "Innovation, safety, ease of use, and comfort have always been hallmarks at Cirrus, and combining these with the performance of a strong, lightweight carbon fiber airframe and 300+ knot cruise speed over-delivers. This is not just a product, it's an experience." The T-50A was announced as the official Lockheed Martin/Korea Aerospace Industries (KAI) offering for the U.S. Air Force's Advanced Pilot Training (APT)/T-X competition in February, and Greenville was announced as the final assembly and checkout facility (FACO). Lockheed Martin's accompanying T-50A Ground-Based Training System features innovative technologies that deliver an immersive, synchronized ground-based training platform. Marignane - Airbus Helicopters has delivered the first three of the 11 AS565 MBe Panther helicopters to Indonesia, ahead of contract schedule, at a ceremony at Airbus Helicopters' headquarters in Marignane, in the presence of representatives from Indonesia's Ministry of Defence and the Indonesian Navy. "We have been working with Airbus Helicopters on numerous projects for many years by now, and this milestone today further illustrates the commitment both companies have towards this programme", said Budi Santoso, CEO and President of PT Dirgantara Indonesia. "We look forward to receiving these green helicopters in Bandung, as we ready to start the installation of the mission equipment, and the subsequent qualification and certification of our future anti-submarine warfare helicopters", he added. Recognised as one of the world's most capable light/medium anti-submarine warfare platforms, the AS565 MBe is equipped with two Safran Arriel 2N engines, which enhance the helicopter's performance in high and hot conditions, while enabling it to achieve a top speed of 165 kt and a range of 780 kilometres. It also boasts a new main gearbox, the latest-generation tail rotor and a 4-axis autopilot that reduces crew workload and makes the most demanding missions easier to perform. Colombia's civil aviation authority Unidad Administrativa Especial de Aeronáutica Civil (UAEAC) has approved the Offshore and Utility Type Certificate for Sikorsky's S-76C™ series (C, C+, C++), S-76D™ and S-92A® helicopters. The certificate enables Colombia's commercial aviation operators to add the multi-role helicopters for transportation of workers or cargo to offshore oil and gas rigs, as well as regional airline passenger service, and VIP transportation. "The approval by UAEAC authorizing transportation companies across Colombia to operate the S-76D and S-76C medium helicopters and heavy lift S-92 in Colombia is an exciting development," said Dana Fiatarone, vice president, Sikorsky Commercial Systems & Services. "These multi-role aircraft will provide profitable, high reliability flight operations to local operators." "Colombians know the robustness, reliability and industry leading safety record of Sikorsky products thanks to the history of Black Hawks in Colombia, where more than 100 have operated for over 20 years," said Adam Schierholz, Sikorsky Regional Executive for Latin America. "As Colombia moves to a peacetime footing, with infrastructure development and oil exploration as priorities, it is a natural progression to have Sikorsky commercial products introduced to the country." In Colombia, Sikorsky maintains training and support facilities in Melgar that employ more than 40 Colombian national employees. These facilities operate as Sikorsky's regional hub for support in Latin America. South Africa, O.R. Tambo Airport: The decomposing body of about a 30-year-old man in the wheel-well of an Airbus A330-200 Arik Air flight form Lagos, Nigeria. The body was discovered by SAA Technical staff whilst undertaking a routine maintenance check. Judging from the state of decomposition the man must have hidden himself in the wheel-well 29 November when the aircraft departed from Lagos. Portugal, Lisbon: A Qatar Airways Boeing 777 was re-routed during a storm after heavy turbulence injured passengers to the Azores where it made an emergency landing at a Portuguese military base in the Azores islands. Several passengers were injured, one traveller suffering heart trouble. The injured passengers were taken to a hospital. Hawaii, Honolulu: A New York City-bound flight returned to Honolulu after a passenger who had been drinking allegedly threatened to kill his girlfriend, her children, passengers and crewmembers. The passenger, who had been drinking before the flight also allegedly, slapped a female flight attendant. He was restrained by other male passengers and arrested on arrival back at Honolulu. USA, Grand Rapids: An Envoy Air, a subsidiary of American Airlines American Airlines plane made an emergency landing after damage inside the cabin. Passengers reported hearing heard three loud bangs before parts of the plane's interior began coming apart. Photos from inside the aircraft show debris on the seats and part of the planes interior shell damaged. The damage was limited to the interior shell of the aircraft and did not impact the plane's airworthiness. The flight crew went on to fly the plane to another location so the interior could be repaired. Indonesia, Jakarta: An M-28 Skytruck with at least 12, including police officers and aircraft maintenance crew, on board crashed into the sea between Singapore and Indonesia. Search and rescue operations were activated by Singapore and the Indonesian navy deployed three ships and two patrol boats to conduct a recovery operation Fisherman discovered the wreckage. George Andrew Davis, Jr. (1 December 1920 - 10 February 1952) was a highly decorated fighter pilot and flying ace of the United States Army Air Forces in World War II, and later of the US Air Force during the Korean War. He was the only flying ace of the United States to be killed in action in Korea. On 21 March 1942 Davis enlisted in the United States Army and on 3 June he was appointed an aviation cadet in the Army Air Corps and started flight training on the Fairchild PT-19. He completed his training during February 1943 as a second lieutenant flying North America T-6 Texans with 314 hours total flight time. During his World War II Davis flew in 266 missions during WWII in the pacific. 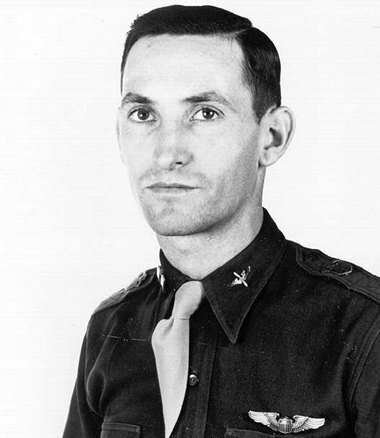 He was credited with the destruction of seven Japanese aircraft and was awarded the Silver Star, two Distinguished Flying Crosses and nine Air Medals. It was in Korea that Davis showed his mettle when On 30 November 1952 during his 22nd combat mission his flight of eight F-86s spotted a large group of nine Tupolev Tu-2 bombers escorted by a force of 16 Lavochkin La-11 fighters. In spite of being separated from his wingmen and being continuously attacked by the La-11 fighters , he managed to destroy two of the bombers and cause the crew of a third to bail out. On 13 December Davis whilst on a morning patrol was attacked by a group of MiG-15s. Davis destroyed two MiGs during the encounter bringing his tally to 10 victories and making him the first double ace of the Korean war. During the afternoon patrol commanding twenty-two F-86's, Davis spotted fifty MiGs in heading south towards the Taechon. Davis attacked and downed one MiG and then went to the aid of his wingman and shot down the MiG during the attack. On February 10, 1952, Davis led a flight of four F-86s on a patrol near the Manchurian border they spotted a flight of 12 MiG-15s. 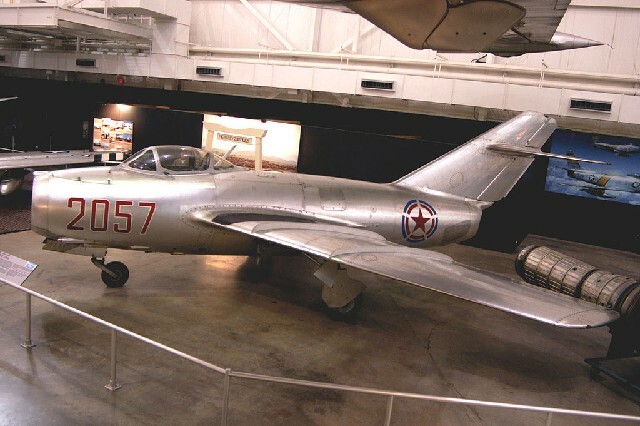 He immediately flew behind the MiG-15 formation and attacked them from the rear and quickly destroyed two. Davis then moved to target a third MiG but as he was lining up when a MiG scored a direct hit on his fuselage. His aircraft spun out of control and Davis did not survive the crash.